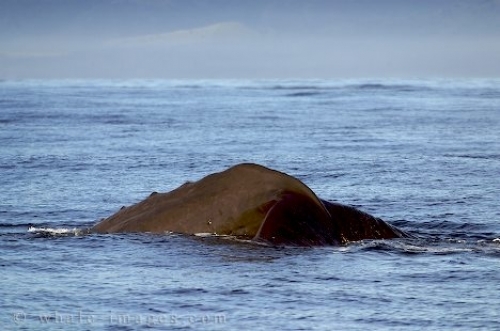 Whale Pictures - Sperm Whale - Physeter Macrocephalus, Kaikoura, New Zealand. I caught these whale pictures just as the sperm whale was diving down to the deeps of the sea. Lifting its huge whale tail flukes as though to wave goodbye for now. The tail flukes are wide and powerful and provide the main propulsion for whales. I savour moments when I can take whale pictures like this, they are indeed a majestic creature. This is the second picture on this dive. Picture of a Sperm Whale going for a deep dive off Kaikoura.